Yee-ha! Cowboys and cowgirls will take over your exciting event with our fun-filled Wild West themed birthday party! Does a day of fun wild west themed singing, dancing and playing sound like the greatest party for your little birthday star? Do they love all the excitement of playing cowboys and cowgirls in the wild west? 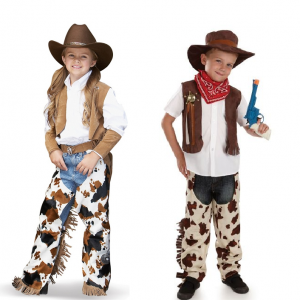 They will love having their very own Wild West themed party!